Combine 3 or more crystals to remove them from the field and complete the objectives at all levels. If you're stuck, buy different power-ups that can help you in your quest. Play through 50 challenging levels and find the epic treasure at the end of the game! 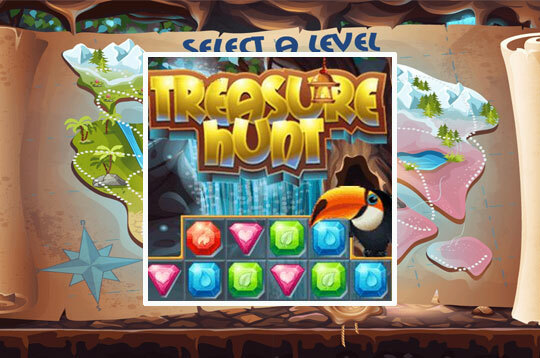 - Play Treasure Hunt Free and Enjoy!